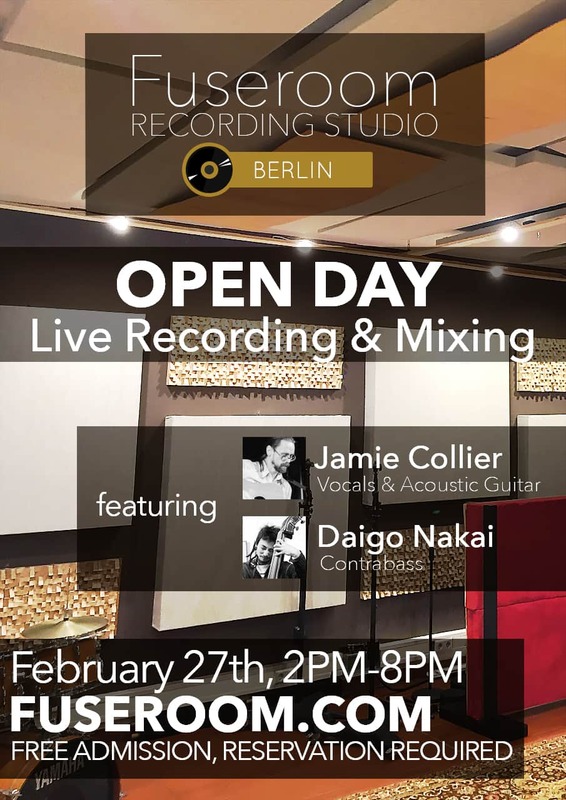 February 27th Fuseroom Studio will open its doors to anyone willing to come say hi and watch singer/songwriter Jamie Collier and Daigo Nakai performing an original song while we record it and mix it live. The event is open to everyone, however: seats are limited! Reserve yours now. See you there!